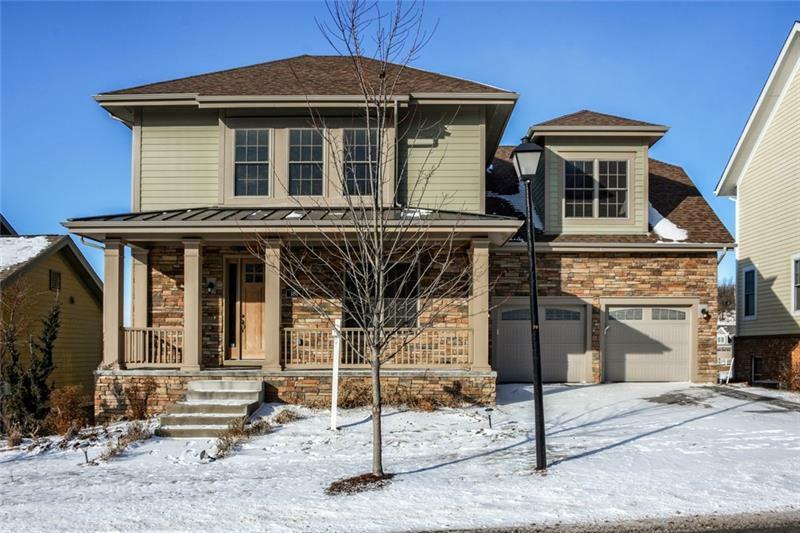 Covered front porch opens to well-maintained Craftsman-styled home in Venango Trails. 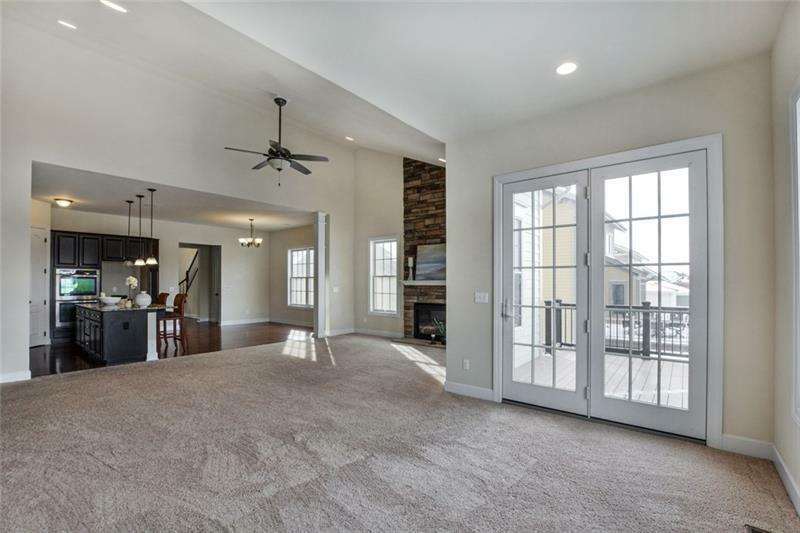 10-foot ceilings greet guests in the foyer. Spacious family room has vaulted ceiling with fan plus a floor-to-ceiling gas stone fireplace. French doors open to first floor den with closet & 10-foot ceiling. 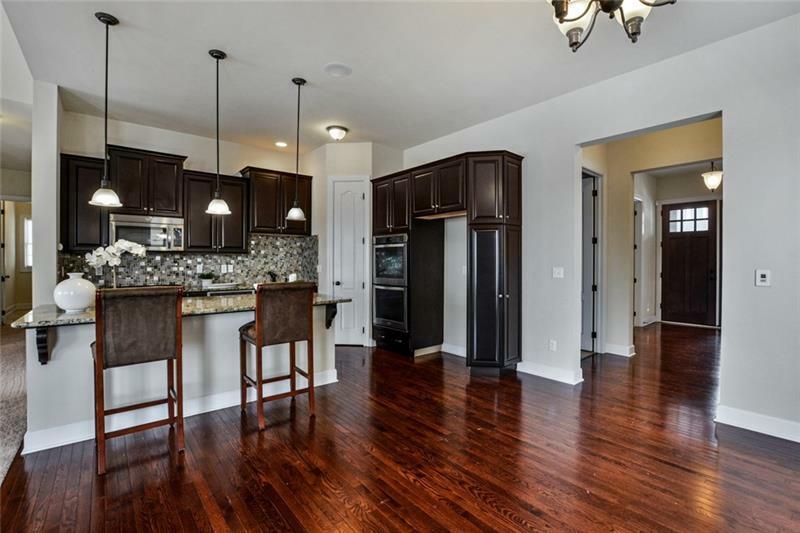 Gourmet kitchen is equipped with espresso glazed cabinets, stainless appliances including a double oven, beautiful granite counters & glass backsplash, two ceiling speakers & pantry. Additional serving area with Butler's pantry. Dining room has access to deck outdoors. 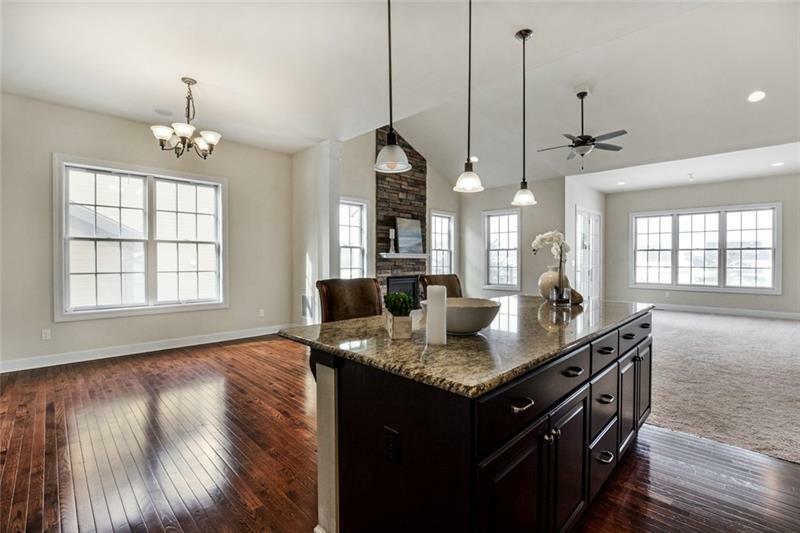 First floor master suite with tray ceiling & fan, two walk-in closets, private bath with dual sinks, corian counters, jetted tub & separate shower. All bedrooms have been freshly painted! Lots of closet space in guest BRs. Fabulous upper level great room (26x15). Huge walk-out LL is plumbed for bath & drywall-ready. Trex deck offers views of pond & level yard. No maintenance exterior. Large garage w/extra space.